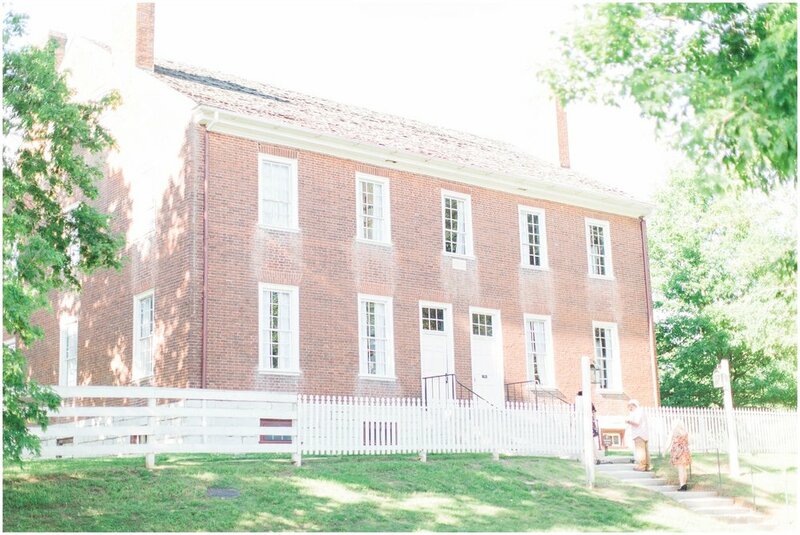 From the Bride: From the moment we first stepped foot on Shaker Village of Pleasant Hill, we knew this was the venue for us. We fell in love with the natural beauty, the antique buildings, and the rich history of the village. This wouldn’t just be our wedding venue, but a place we would continue to visit for years to come. We wanted to be sure we kept the natural aspect of our venue, but add our own touch of detail. Planning floral designs was one of my favorite to-do’s on the list of wedding planning, It was a blast! 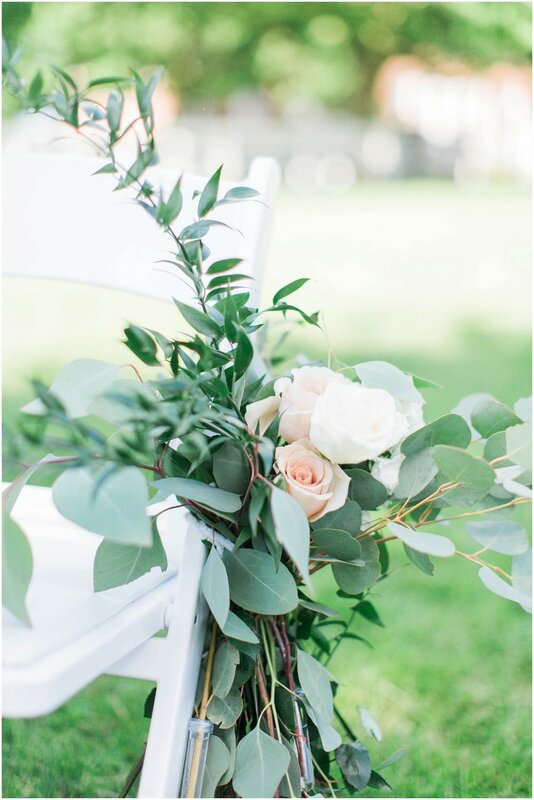 I envisioned a very organic look with flowers looking as if they were naturally placed and lush greenery, I couldn’t get enough greenery garland, and wanted to add it just about everywhere I could. From the beginning of our engagement, we knew a traditional wedding wasn’t what we had in mind. 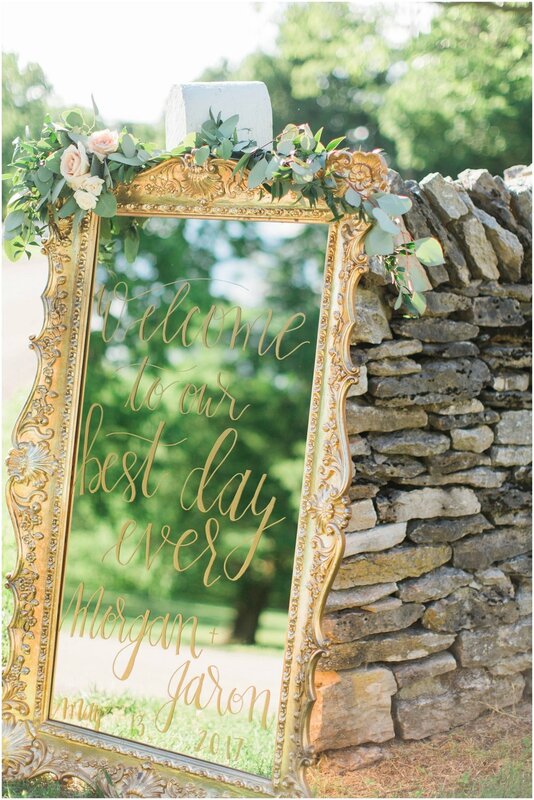 We wanted our day to be personalized and unique. With the help of having a food truck serve dinner, we got just that and more. For our ceremony, my uncle was our officiant and had prepared personalized script and vows that he felt best fit Jaron and I. Along with that, Jaron and I had written letters expressing things we loved most about one another. I’ll never forget listening to the man I was moments away from saying “I do” to, tell me the things he loved about our relationship and who I am. My sleepy eyes in the morning and car singing, can be a bit much, but hearing Jaron tell me he loved both along with a list of other things was the sweetest. From what I hear there wasn’t a dry eye there that day. We arrived at the Meadowview Barn for the reception in a white vintage Bentley. We used both the inside and outside areas, allowing flow for our guests that weren’t up for breaking a leg on the dance floor. At the back area of the barn sat cocktail tables where our guests could mingle and enjoy the view. Here, we also had the Rolling Red State food truck and wooden bars draped with greenery. From the love and support that surrounded us that day to the packed dance floor that evening, we will always remember the joy we shared with our families and friends. 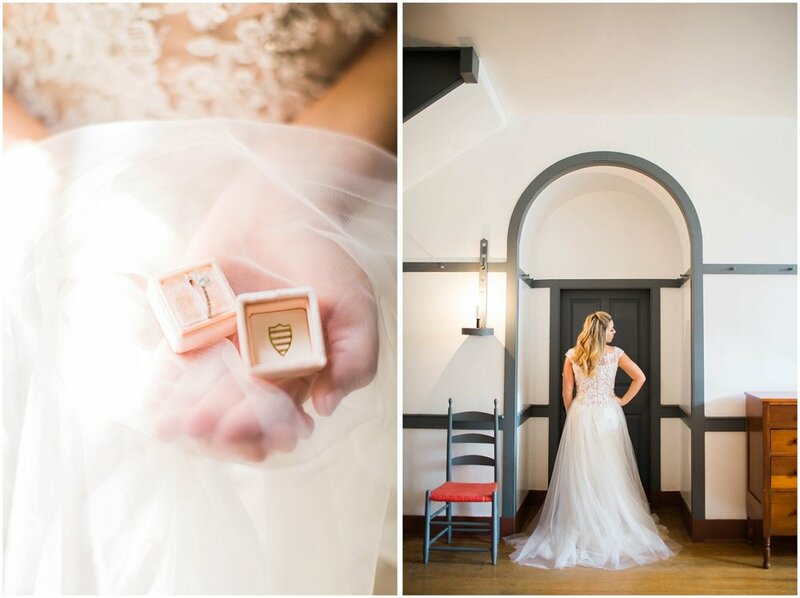 Our big day far exceeded any of our expectations. 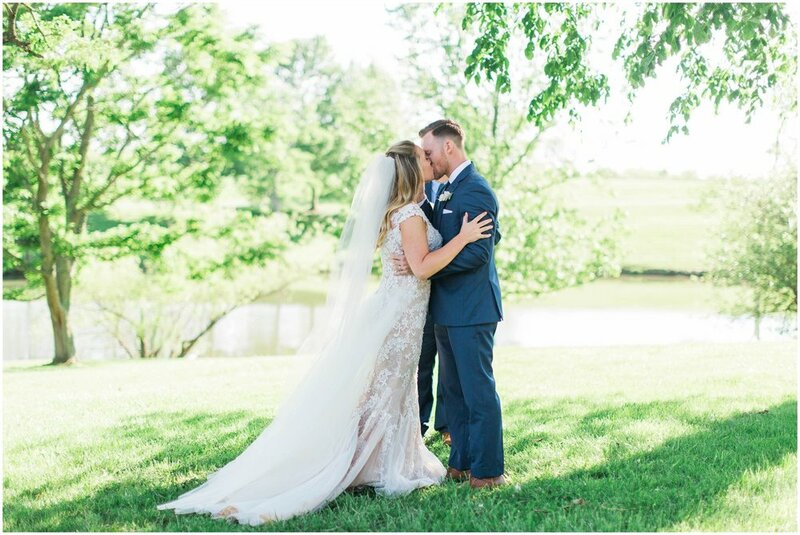 It truly was our best day ever! 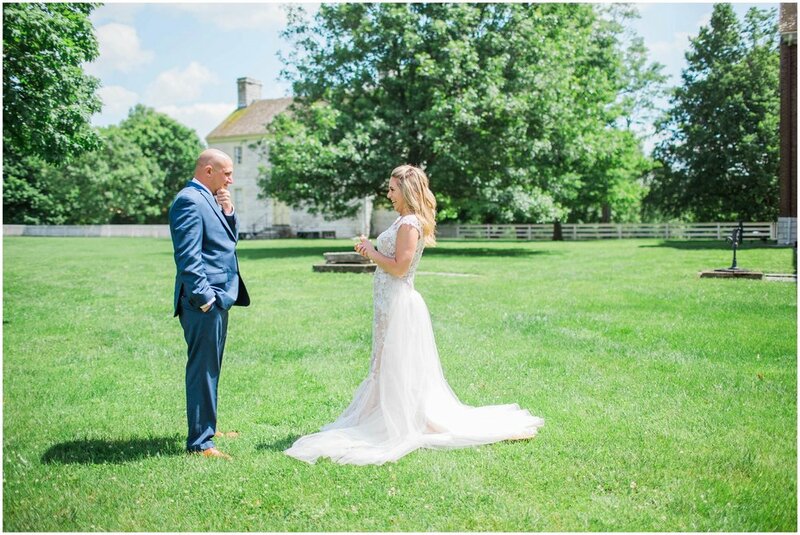 Photography: Brooke Bailey of On A Whim Co. | Location: Harrodsburg, KY | Venue: Shaker Village of Pleasant Hill | Videography: Love The Renauds | Florals: Carol Lynn Originals & Events | Caterer: Rolling Red State BBQ Food Truck | Cake: Martine’s Pastries | Rentals: Bryant’s Rent-All, Events with Design | Music: Ceremony - Volare String Quartet, Reception - DJ James Parker | Transportation: Gold Shield | Paper Products: Shasta Bell Calligraphy | Hair & Makeup: Lovely Beauty Lab | Bride's Attire: Stephen Yearick from European Bridal Fashion | Credits: Wedding Signs & Table Numbers - Love In The Lettering by Raychel Riggs, Groom’s Hair - The Rooster’s Nest, Bridal Robe - Pretty Plum Sugar, Guest Book - Claire Magnolia, Ring Box - The Mrs Box, French Market Dress Hanger - BHLDN.